Mumbai : The Awards function of Billawa Chamber of Commerce & Industry, Mumbai held of 17th March at Bantara Bhavan, Kurla, Mumbai. 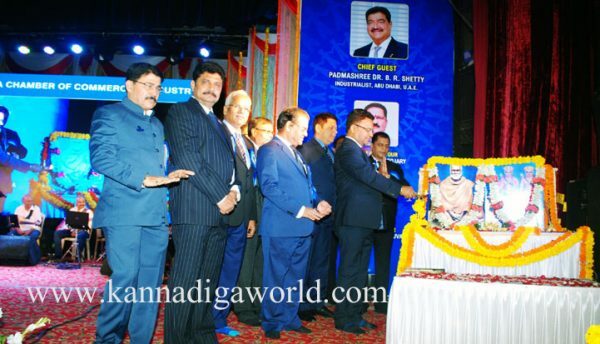 The function was inaugurated by Prakash Mehta Hon. Minister of Maharashtra along with N T Poojary, President of BCCI and other dignatories. Gusts of the occasion Laxman B Amin, Ganesh R Poojary, Udayachandra D Suvarna and Nityananda D Kotian were present on the dias. 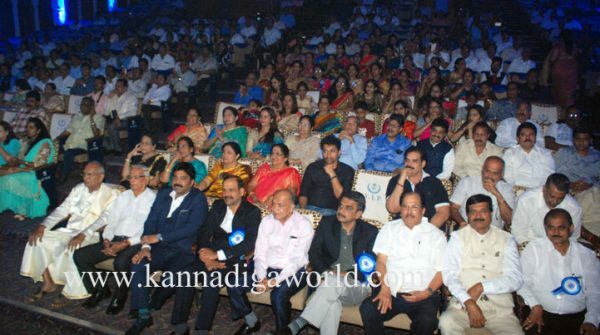 Sharada S Karkera of Mahesh Group of Hotels, Suresh S Poojary of Sukh Sagar Group, Educationist P Sadu Poojary, Dr. Tilak T Suvarna wellknown cardiolist were felicitated and awarded in this function. Wellknown young hokey goal keeper of Indian Hokey team Suraj Karkera also felicitated. Number of Business personalities and industrialists from all over the country and abroad were present in this function. BCCI Vice Chairmen D N Suvarna, M Sushir Kumar, D B Amin, Mahendra S Karkera, Secretary Adv. Anand M Poojary, directors C B Karkera, Harish G Amin, Purshottam S Kotian, Ashmit B Kulai, Bharat S Poojary and Gangadhar N Amin also present.